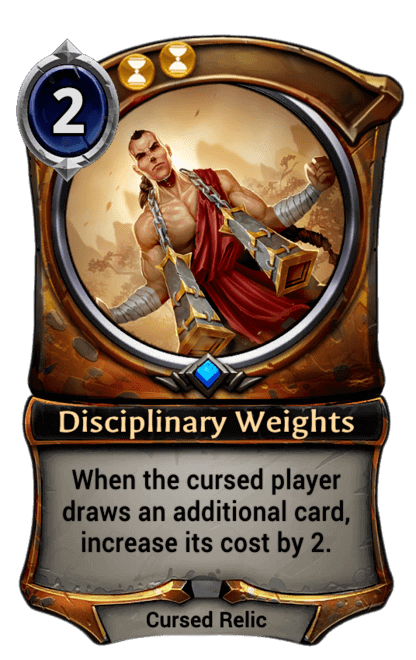 Infiltrate: Play Disciplinary Weights on the enemy player. Then each player draws a card. Infiltrate - The special ability of a unit with Infiltrate occurs the first time that unit hits the enemy player. It doesn't work while the unit is on defense, such as when it is attacked by a Relic Weapon. An overstatted 2-drop with a strong infiltrate upside. Those weights can be game-ending if she connects with your face in a tempo-heavy game. The fact that this card has been an autoinclude in every Time deck since set 4 released says it all. Really, no comments on this card yet? This card is A-MAHY-ZING. 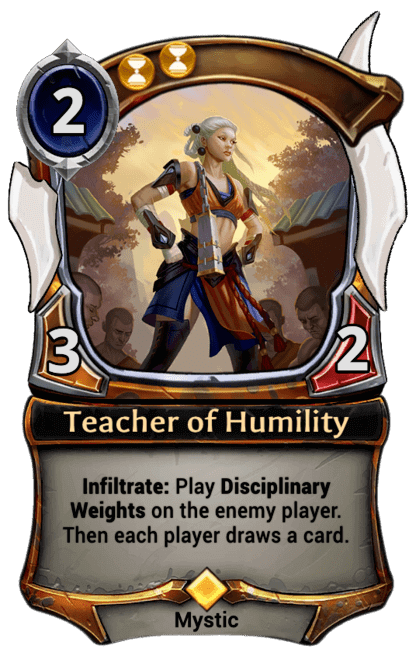 SO MANY possibilities to use this card in conjunction with other cards/combos/faction setups.